Nothing compares to the raw power of a two handed weapon like the Claymore LARP Sword Ã¢â‚¬' 140cm. Modeled after the great swords of history, this massive blade is designed to be swept back and forth, breaking through the enemy line. 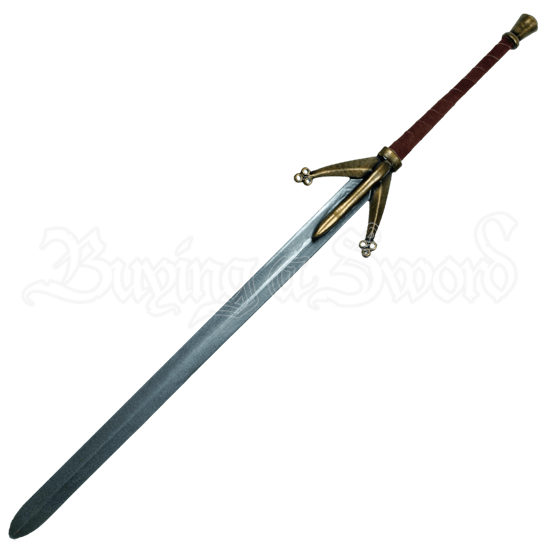 A sword of this size is great for clearing away spears and pikes. To a warrior with the right skill, a blade like this can be spun and wielded in a circular motion, putting significant impact behind every strike. The sword features a guard that sweeps downward. Trefoil patterns accent its pointed edges. Wrapping reinforces the grip of the long handle. A small pommel caps the hilt. Like most of our LARP weapons, this claymore is crafted from an extremely durable foam that does not shred, which has been sealed within a strong coating of latex. As safety is always a concern in LARP, this weapon also features a round, flexible fiberglass core that bends and flexes. The core also features a durable Kevlar cap for added protection, both against the core and for when the weapon is used for stabbing. 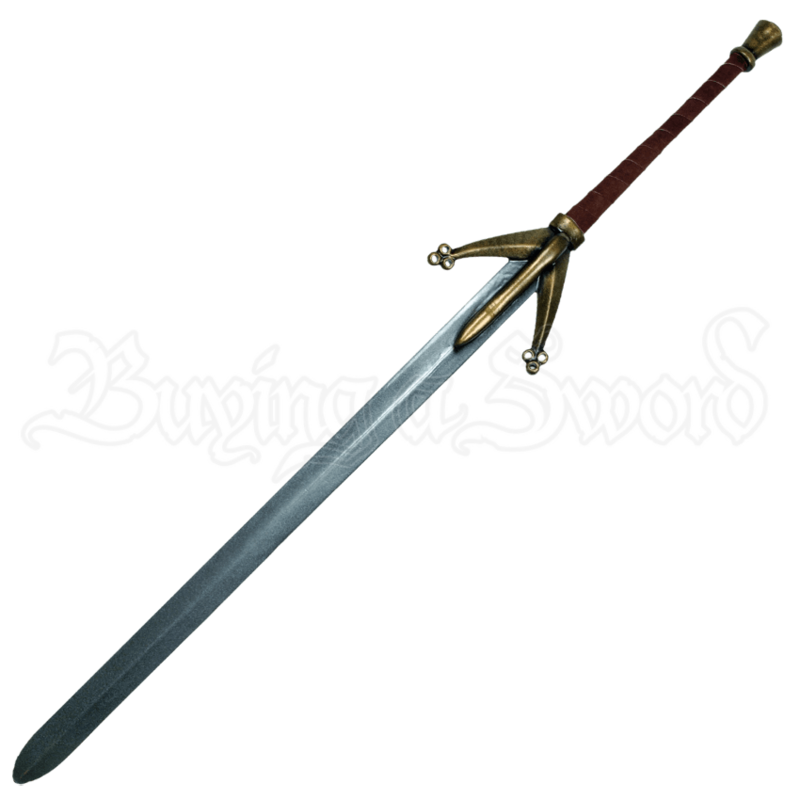 The Claymore LARP Sword - 140cm has an overall length of approximately 56 inches. Please be aware that measurements may vary slightly, as it is a handmade item.